To communicate how the heaviest meal will never return thanks to ant­acid reflux of Alka Seltzer. The idea was to tell the destiny of a pheasant going to be eaten for dinner. Like the tragic end of a condemned man being thrown on the ocean floor, a stone is tied around his neck without any possibility of return. 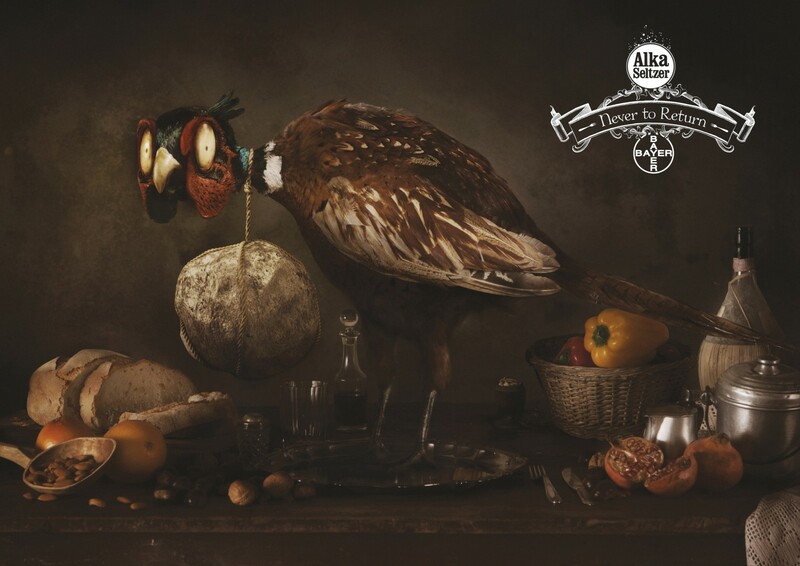 In 2014, it won a Bronze in the Press category and a Bronze in the Illustration category at ADCI – the Art Directors Club Italy.